On these pages you can view a collection unkonwn tv series, soaps or films. 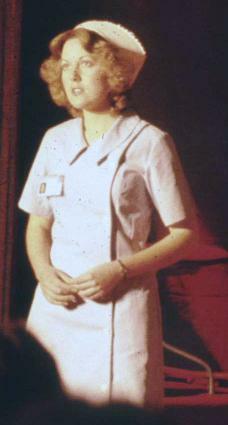 Amateur dramatics nurse, Australia, 1977. 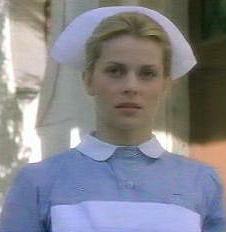 Natasja Kinski as a WWII Nurse from a French TV film. From Renaud. 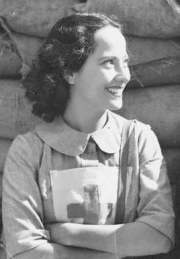 Actress Merle Oberon as a Red Cross Nurse in 1939. 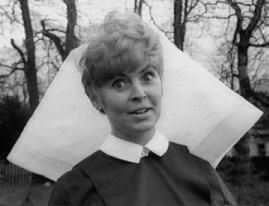 TV Presenter Gloria Hunniford in the early '60s. 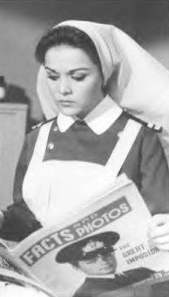 This Nurse is from an old Norman Wisdom film. From Graeme..
Can anyone tell me who this is and the name of the film? From a 1968 Amateur Dramatic production. 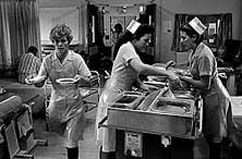 This one looks like it's a still from a TV series, could be an early episode of 'Casualty'. Any ideas anyone? Horror icon Ingrid Pitt in a still from a 1970 West End play. 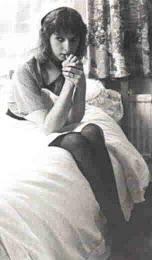 Nurses Biting Their Nails, from the late '70s/early '80s. Sent by Stuart. Three more '70s/'80s Nurses from Graeme and Stuart. The uniform fastens at the back, although it's only really clear in the third pic. Two more from Stuart & Graeme. 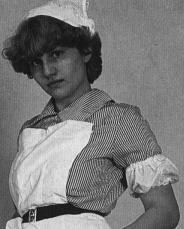 '70s/80s Nurse. Thanks to Stuart & Graeme. The last of Stuart and Graeme's '70s/'80s scans. 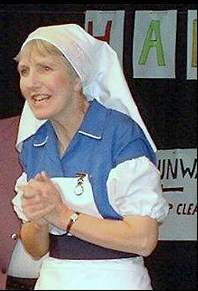 From a 1982 theatre production, UK. 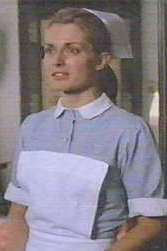 Nastassja Kinski as a WWII nurse in some made-for-TV film, from Graeme. Two TV scans from Chris. Two more of Chris's TV scans. Graeme sent me these two pics of a Japanese hospital soap star. 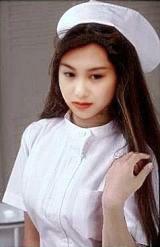 Here's another Japanese Hospital Soap star. 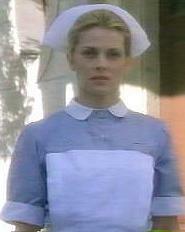 Nurse Aoi, from a Japanese Soap. Still from a Japanese film. Felicia Chin, star of Singapore's No.1 medical soap. 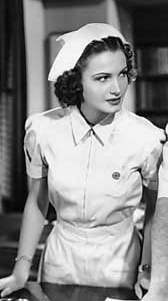 American actress Jo Ann Sayers, from a 1940 film.